I think most people are fond of categories. They help us make sense of a world that is pretty multifaceted. For instance, there are many categories of movies, such as horror, romance, and thrillers. Scientists are fond of categories, too, and we often categorise living things. There is an entire branch of science that deals with placing organisms into categories, and this is called taxonomy. Scientists who study taxonomy are called taxonomists. Taxonomists are important because they categorise living things based on shared characteristics such as evolutionary histories, morphological traits, behaviour, and genetics. This helps us understand and predict how organisms interact with each other and with their surroundings. Write-up and communicate results to our colleagues and the public. 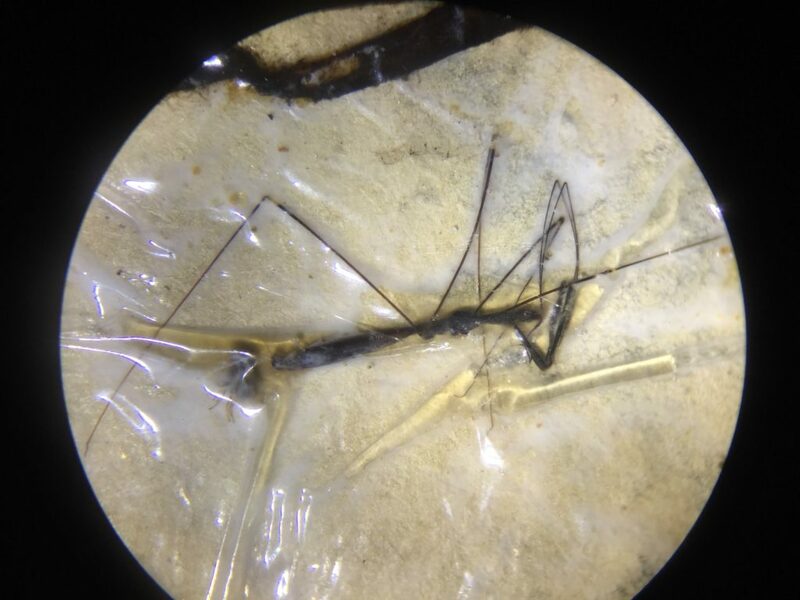 It’s in step 2 that we typically use taxonomy, usually because our data collection focusses on surveying large numbers of insects, which we then study under microscopes in the lab. When we study these insects, we often sort them into categories called “orders” which are broad categories into which insects and other organisms can be placed. There are about 30 insect orders. This insect is a hemipteran, or “true bug”. Hemipterans often have a very distinct mouthpart that looks like a sharp needle. Can you see the mouthpart on this hemipteran? Scientists use different techniques to sort insects into orders, but I use morphological traits. Morphological traits are structural. These include body shape, presence/absence of wings, and colour. I often use a microscope to look at insects’ morphological traits, because many insects are small and therefore the morphological traits cannot be seen with the naked eye. This is a beetle, or Coleoptera. Beetles have outer wing cases called elytra, which are the yellow-spotted structures seen here. Some insects have very small morphological traits that are characteristic of their order. For instance, insects in the order hemiptera (true bugs) all have sucking mouthparts that look like drinking straws. Diptera (flies) have a reduced pair of second wings, which are much smaller than the first pair and are called halteres. Some insect orders have more obvious morphological traits. Take dermaptera. These are commonly called earwigs and, as I’m sure you know, the majority of dermapterans have pincer-like structures at the ends of their bodies. Identifying animals is sometimes tricky. This jumping spider is called an “ant mimic” because its body so closely resembles that of an ant. Currently, I am practising more taxonomy than usual. This is because I am sorting to order some insects found in oil palm plantations in Sumatra, Indonesia. In total, I’ll sort about 500 samples. The number of insects in each sample varies, and we’ve had a range of 0 insects in a sample to over 2000 insects! In total, we will probably look at over 30,000 insects. I have two excellent research assistants named Yan and Habi who help me. Together, we sit at microscopes and, after two weeks of sorting, are about halfway through the samples. After we finish sorting, I will analyse the data and then write-up the results in a publication. 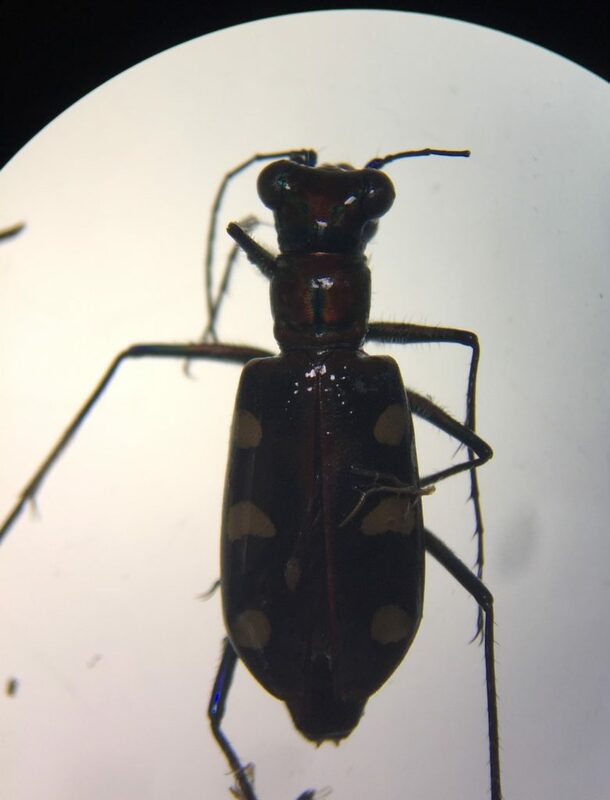 My samples will help researchers and policy makers understand how management of oil palm plantations affects important insects and arachnids that affect oil palm growth. The great thing about taxonomy is that it can be practised anywhere. There are various guides that teach scientists and non-scientists alike how to place organisms into categories. For insects, I recommend checking out the guide below, which was made by the American Natural History Museum. There are also various tools, such as the phone app iNaturalist, to which you can post photos of organisms and other users will help identify them. 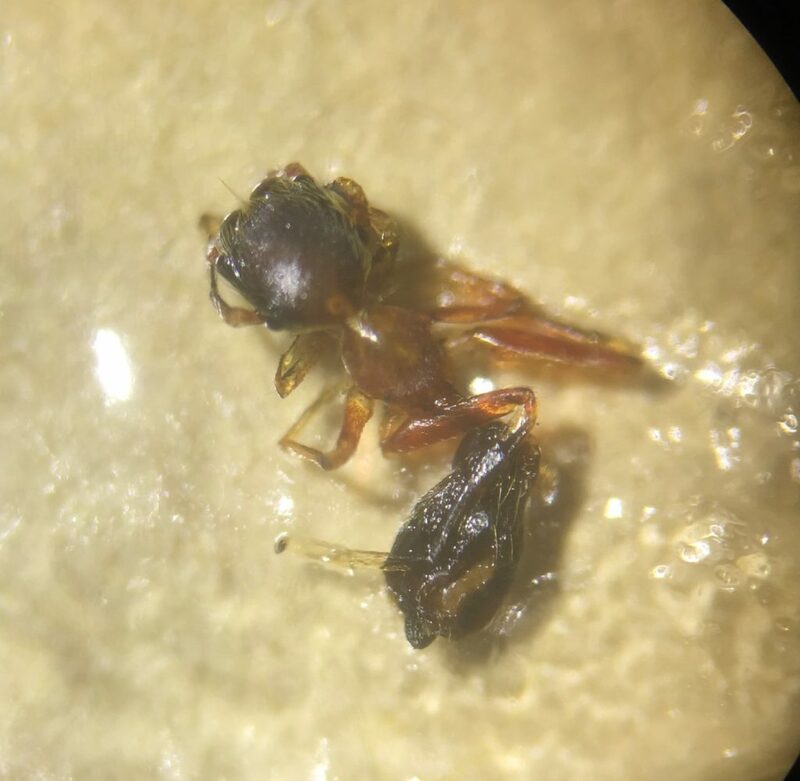 This blog post was written by Insect Ecology Group member Michael Pashkevich. Michael is a second-year PhD candidate who enjoys all-things spiders, cooking/eating delicious food from his hometown (New Orleans, Louisiana, USA), and spending time with his baby nephew.